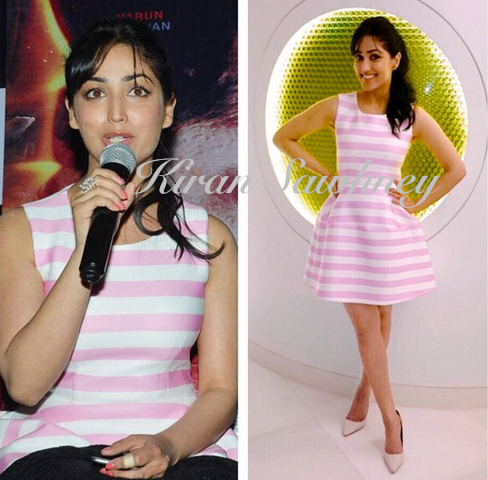 Yami Gautam was in Hyderabad for her movie promotions. She wore a striped white and pink dress from Madison on Pedar. She teamed it with a house of shikha ring and Zara heels. We cannot help but notice the band aid on her finger. (That has nothing to do with fashion or style. Just something we noticed).